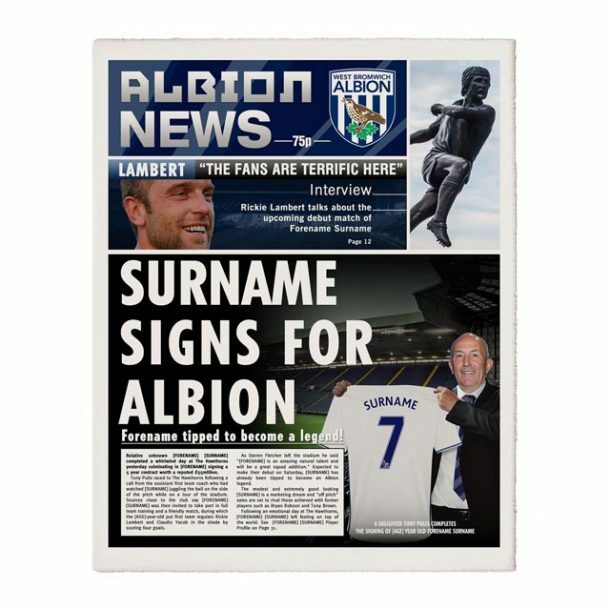 Be the star on the front page of a newspaper with this fantastic Personalised West Brom FC Newspaper. 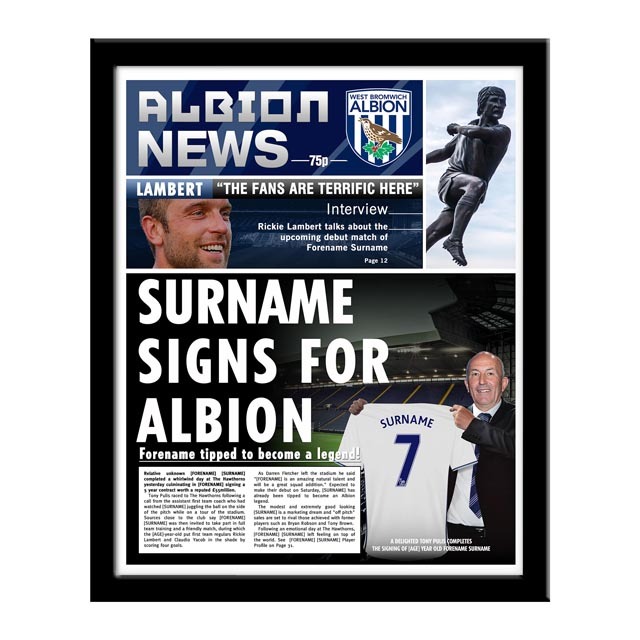 A present that’s sure to impress any West Brom fan and is approved and fully licensed by the club. With this personalised West Brom FC Newspaper you become the managers new signing as we merge your recipient’s details throughout the article text and headlines, and we even include your name in a quote with the top players! 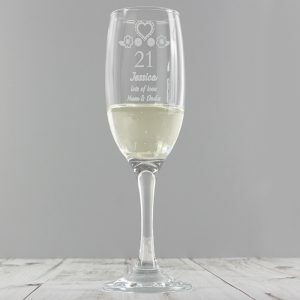 Enter any forename and surname up to 12 characters each, their age and their shirt number. 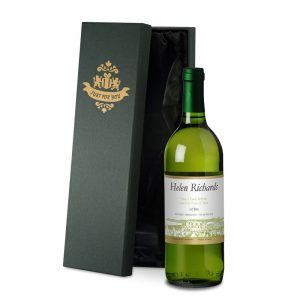 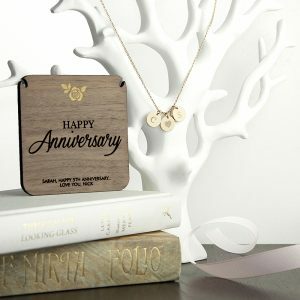 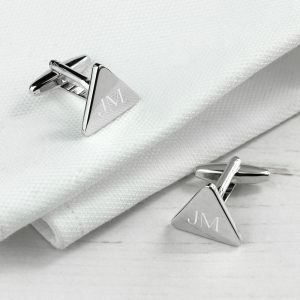 A superb gift for any occasion and is sure to make the recipient smile. 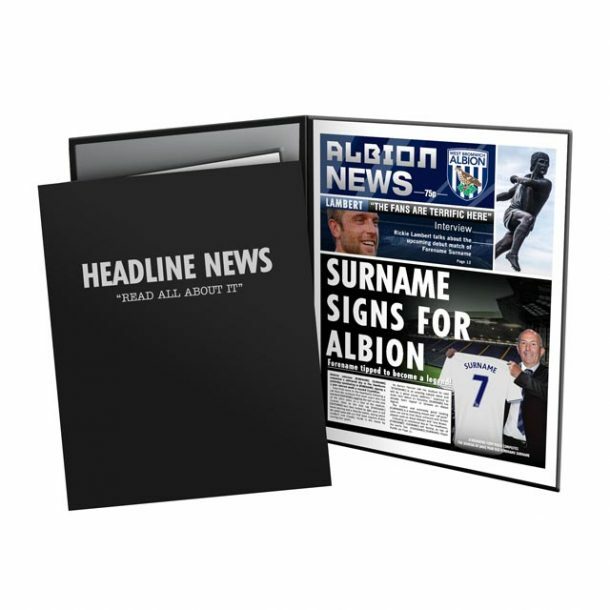 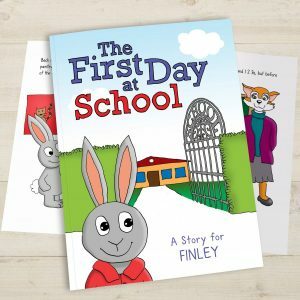 Printed in full colour onto authentic newspaper style paper and available as a single page, presented in a stylish Headline news hard backed folder or mounted and framed in a stunning black contemporary frame. Official West Brom FC Merchandise.